HF: This map is from an Urban Council book published in 1991. 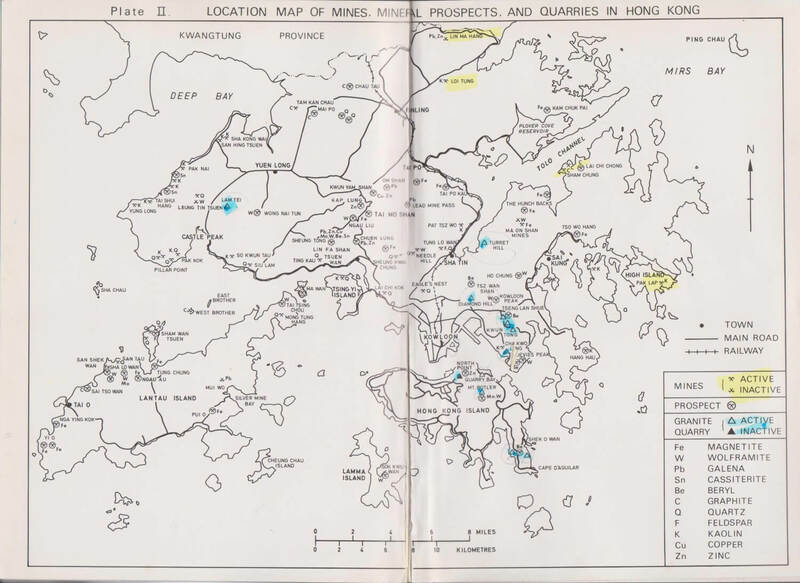 It shows what a large number of mines and quarries there have been in Hong Kong. Many of these may well have been small operations but it forces me to revise my previous estimation of around 25 commercial mines. Please excuse the highlighting which was done many years ago when I first became interested in the subject. This article was first posted on 20th March 2015.